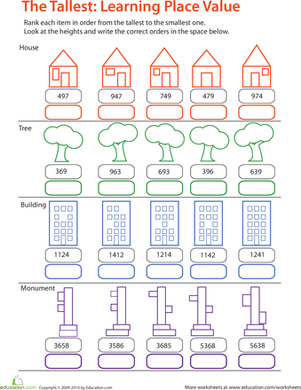 Place Value of Numbers: Which is Tallest? 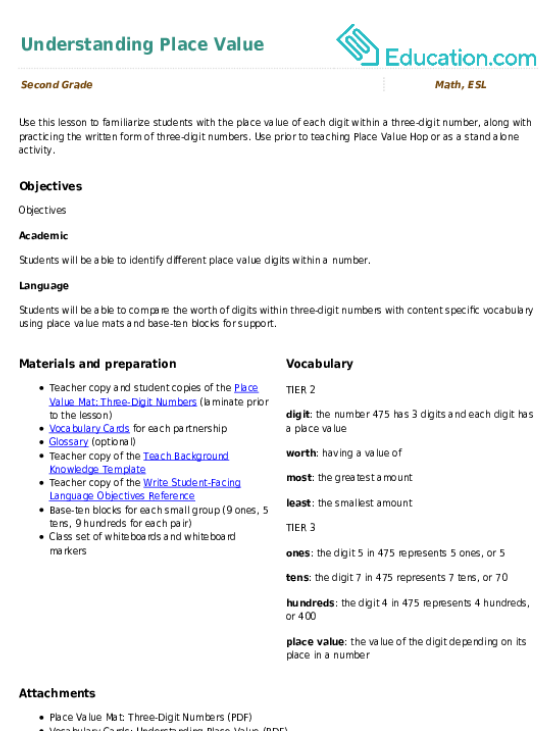 In this worksheet, your child will learn about place value of numbers by ranking each group of things from tallest to shortest according to the numbers listed below them. He'll also get in some practice reading and understanding whole numbers in the hundreds and thousands. Help your second grader review place value with this quick practice quiz. Kids practice place value by expanding numbers and smashing them back together again. For each four-digit number on this second grade math worksheet, kids determine the place value of each digit. Dive into understanding place value by using place value disks to represent and compare numbers. Strong place value recognition is a necessity to order, estimate, round, and check for the accuracy of numbers. Kids learn how to break down numbers by place value to simplify math. Use this place value mat to represent tricky multi-digit numbers and solve more complex math problems! Use this lesson to familiarize students with the place value of each digit within a three-digit number, along with practicing the written form of three-digit numbers. 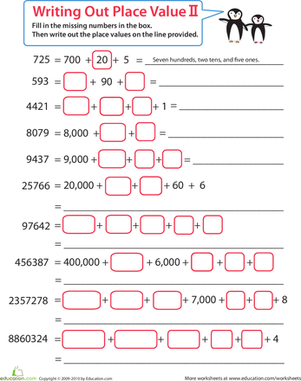 Test your child's grasp of place value with this 2nd grade math worksheet. 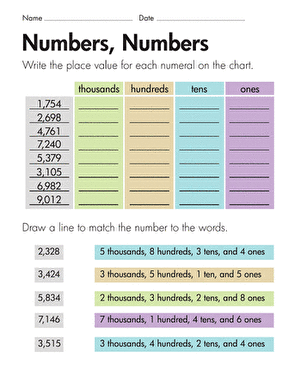 Your child must write out the place value of each number in numerals and in words. 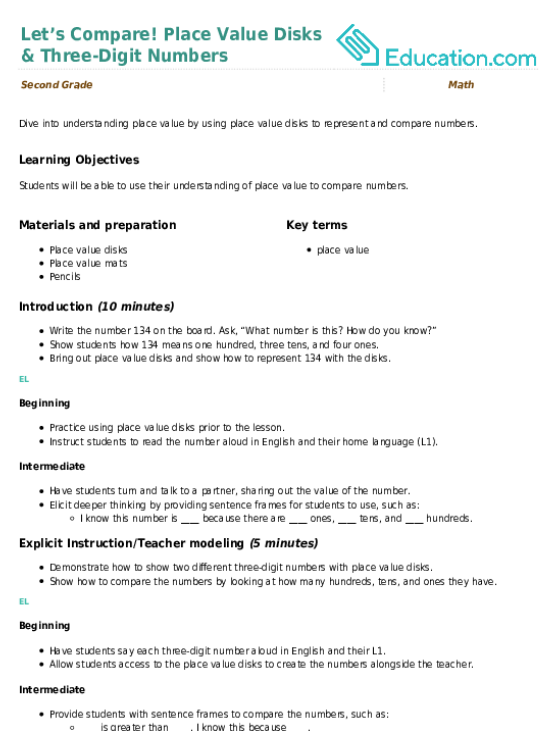 What Is the Place Value? 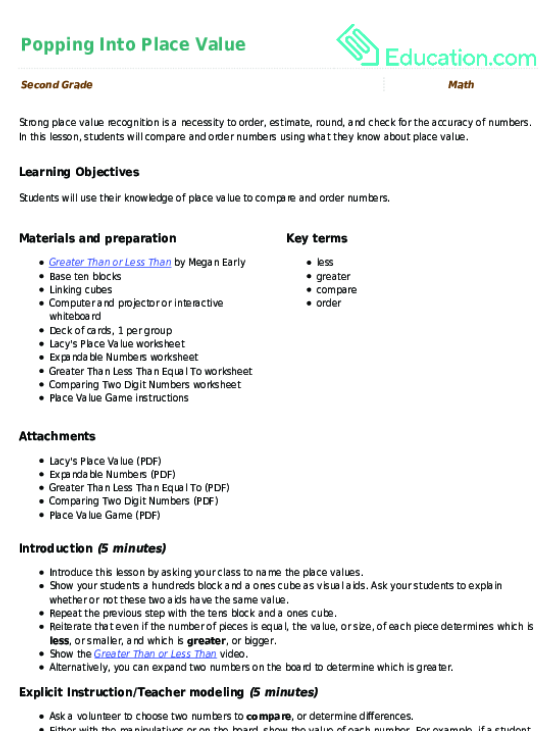 With the concept of base 10, it's easy to understand place values. 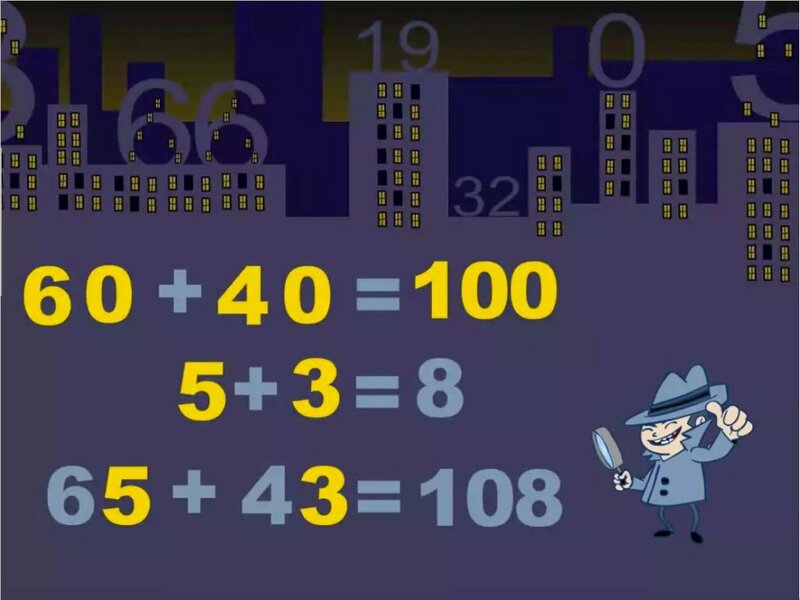 Help your child learn that each digit is ten times the value of the one to its right. Print and laminate a set of the Place Value Mat: Two-Digit Numbers to support young math learners as they develop a stronger number sense! 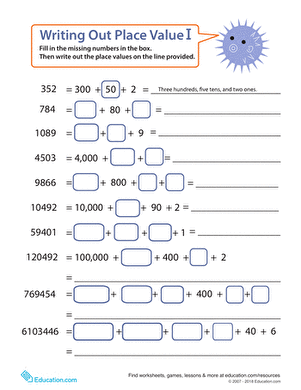 Put your child's understanding of place value to the test with this challenging math worksheet. Your child will write the place values of each number two ways.